As both a real estate Broker and a real estate Attorney, I hear this question often. With the real estate market booming in San Antonio, a larger number of sellers are forgoing listing their home with a Realtor and are trying to sell it themselves. While there are a number of serious issues for sellers who decide to go this route, I am going to focus today on buyers who want to buy a home that is for sale by the owner. I understand the temptation for buyers; with strong competition and multiple offers on most properties it can be tough when your offer is not accepted and even tougher when that happens more than once. Then you see a property with very little competition, with an owner that you can talk directly to, and you think you may have found the calm in the storm. When you talk to the seller, they may tell you that they are happy to sell you the home but that they do not want to pay a Realtor commission or they may even tell you that they do not want a Realtor involved. It is understandable not to want to bear the cost of a buyer’s agent, that can be negotiated, but it is a major red flag if the seller says they don’t want to deal with a Realtor. Realtors are trained to identify, avoid and minimize problems in real estate transactions and they are very good at doing just that. These are high value transactions and mistakes can easily cost more than what having the professional advice of a Realtor would have cost. As a typical home buyer you don’t buy and sell real estate every day and naturally you are not familiar with option periods, financing contingencies, surveys, reading title commitments, inspection reports, foundation damage or what kinds of repairs will be required for the type of financing you are using. You probably are not familiar with the different types of lenders (mortgage brokers, retail banks, mortgage banks, credit unions) and the various costs and benefits of each. Just paying higher than necessary mortgage insurance over the life of your loan will cost you more than a Realtor. You may not know the various ways that you can protect yourself in the contract so that you can back out and get your earnest money back if there are problems, and earnest money is typically 33% of the cost of a Realtor. You may not know if a neighborhood is declining in value, that a two story house will be harder to resell than a one story house or that a builder premium for a better/larger/higher lot for a new home will not increase the value of the house when you are ready to sell it. These are just a few examples of things that Realtors learn through experience because they do this every day. In addition to the factors that affect overall value, there are a number of things about any particular house that need to be assessed and evaluated. An inspection is another critical part of any purchase, but how do you maintain leverage to negotiate with the seller on repairs once you have already signed the contract? What is the seller required to disclose, if anything? How do you determine a fair price for the home? How do you choose a title company, what is their role, and who is supposed to pay for it? How do you make sure that the person representing themselves to be the seller even owns the property or has the right to sell it? How do you know if the seller has made any insurance claims on the property that are going to affect your insurance rates? (yes, this can happen). Is the property in a flood zone? 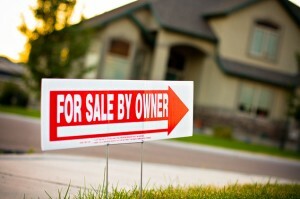 What happens if the seller damages the home while they are moving out prior to closing? How do you protect yourself in case the home doesn’t appraise for the purchase price? These are just a few of the hundreds of questions that a good Realtor will help you answer. Most sellers are willing to pay for you to be represented by a Realtor because they want a fair transaction. If the seller isn’t willing to do that there may be a reason.